Powerful and haunting, the 10 stories of Hyde’s debut imagine a world where dreams and reality merge, often with dangerous consequences. Hyde explores the relationships between illusion and reality, delusion and clarity, as his characters come to realize that the revelations they wholeheartedly pursue are often not the ones that await them and will move them. 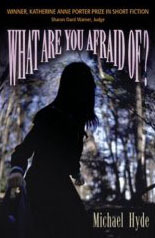 A teenage girl obsessed with the death of a classmate hopes to become the killer’s next victim, a wayward graveyard attendant punishes the dead for his punishments in life and a ghostly vision in a garden shed offers a catalyst for one woman’s change. Born in Pennsylvania, Hyde received his B.A. from the University of Pennsylvania and his M.F.A. from the writing program at Columbia University. His short fiction has appeared in Ontario Review, Bloom, Xconnect, Mars Hill Review, New Millennium Writings and The Best American Mystery Stories. He lives in New York City where he teaches writing and literature at the Fashion Institute of Technology. He recently completed a novel.